Since then we've used a variety of systems and kept track of key developments along the way. However, the fundamental building blocks are the same. The CPU (Central Processing Unit) is the core component which determines the processing speed of your computer. Whilst other components (eg Storage disks and memory chips) can affect the speed of certain operations (like copying files), processes that involve complex calculations (like rendering effects and encoding video) will generally depend on the clock speed and performance of the CPU. In some cases these sort of processes can be off-loaded onto the GPU (Graphics Processing Unit – i.e. the graphics card), but only if a specific application is programmed to use a particular type of graphics card. There is no generic way that graphics cards can take over from the CPU, so no matter how powerful the GPU on the card, it will only benefit those applications that know how to use it. 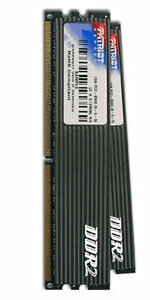 A faster CPU will generally benefit all applications. The problem with upgrading the CPU is that there have been many CPU families, even from the same manufacturer, each one with a different connection to the motherboard (i.e. 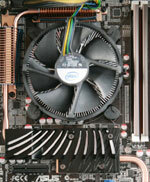 socket type), and even within those groups that share a common socket type there are different requirements for the supporting chipset on the motherboard. The net result of this is that unless your CPU is one of the slowest in a compatible group, you will not simply be able to buy a new CPU chip and swap it with the existing one. Instead, you will also have to get a new motherboard that’s compatible the new CPU, and possibly new RAM if the type supported by the new board is different from that on the old one. Sometimes the graphics card slot changes as well, but that hasn’t happened for a while, not since the introduction of PCI-Ex to replace AGP. Upgrading the RAM capacity can improve system speed, but it’s a popular misconception that “adding more RAM makes your system faster”. It’s really a half-truth, incorrectly derived from the fact that “not having enough RAM will make your system slower” (or, worse still, crash), when it has to use the swap file on disk instead of the RAM chips. Disk access is an order of magnitude slower than RAM access. But if you do have sufficient RAM, any additional RAM will not be used and the system will be no faster than it was before. How do you know if you have sufficient RAM? 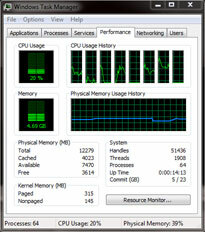 Windows has a built-in RAM monitor in the Task Manager, accessed by pressing the Control-Alt-Delete keys. Under the Performance tab are a selection of graphs and readings which will let you see how much RAM is being used at any time, and (on the lower graph) how that usage varies over time. If you monitor the RAM usage whilst working on an application which you think might be pushing the limits, you will be able to see whether this is the case or not. If the RAM graph and Total used show that RAM usage is less than the Total Physical Memory, then you don’t really need any more. Note:- if the CPU usage is near 100%, and you are performing a CPU-intensive task like encoding or rendering, this is a good thing. Only when you think the CPU should be idling but you find it’s at or above 50% should you be worried, and then it’s time to look under the Processes tab to see which Process is hogging all the CPU resources. Once upon a time, when non-linear editing was in its infancy, hard disks struggled to cope with the data rates required to play full-res video files. For reference, uncompressed 4:2:2 SD video runs at about 20MB/s (160Mb/sec), and even high-performance hard disks of the day were hard pushed to maintain much above 5MB/s. Even with compressed video, playing multiple streams inevitably required RAID arrays in order to get sufficient speed. But like other PC components, disk speeds have increased and these days any “commodity” hard disk will easily deliver 50MB/s or more. At the same time, video compression quality has improved such that, apart from at the very high end, most video acquisition is done at data rates between 3-7MB/s. 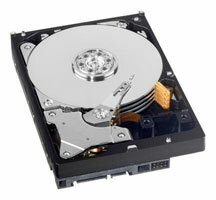 If you need to increase your overall disk storage, removable disks are an attractive option, particularly if you need to move data between systems, but in some cases they can be slower than internal disks. USB is a popular option for external disks because it’s widely supported across PCs and Macs, desktops and laptops, and be “hot-plugged”, but the original USBv1 is not fast enough, and whilst USBv2 is generally OK, it will be the limiting factor in transfer speed. To get the best out of the current generation of SATA disks, the best two connection methods are either e-SATA or the newer USBv3. eSATA effectively connects an external SATA disk directly to an internal SATA disk controller port, such that it runs just as fast as if it were fitted internally. USBv3 has upped the transfer speed from USBv2 such that it currently exceeds that of available disks, and has the twin advantages of backward compatibility with previous USB ports (where it will simply run slower) and easy hot-swapping. Finally, one of the most cost-effective options for removable storage is have a front-loading SATA drive bay fitted to your PC. These allow bare SATA drives to be easily removed and inserted whereupon they will run at full speed alongside the other internal drives. It’s common knowledge that you need a good graphics card in a video editing system, but just how good? Graphics cards can range in price from tens of pounds to thousands of pounds, so what difference can they make? 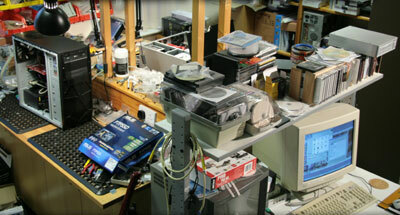 As with many components in a PC, the answer is really software-dependant. There are some basic functions a graphics card has to perform to support Windows and the sort of common functions found in all Windows applications, but beyond that it’s down to the application to unlock the additional processing power that the graphics card processor (the GPU) might be capable of. And if a particular function within a video application is not written to use the GPU, then a better graphics card will provide no benefit. Traditionally, it’s been the video gaming industry (and high-end CAD) that has pushed development of graphics cards, and been the only type of application to take full advantage of GPU power, but video editing software is beginning to catch up, and applications like Premiere Pro (from CS5 onwards) is one such example. It is specifically written to take advantage of certain cards with Nvidia chipsets that will run their CUDA graphics programming language, in order for the GPU to perform real-time video effects. Some other editing programs make use of the more widely supported DirectX and OpenGL graphics programming language, which opens up the choice of cards. Generally, at any particular point in time, cards in the middle to upper part of the “gaming” range offer the best value for money, typically costing between 100-300 pounds. However, everything moves on apace, and the performance and capabilities of a “higher end” card from a few years ago are likely to be equalled or bettered by a “mid range” card of today. I've been a regular contributor to user groups and technical forums for the last 20 years or so, and have written hundreds of posts on a whole range of computer, audio & video production topics. Trouble is, I never kept copies of any of them, which is why I've now created a web page for some of them. e.g. - Desk Microphone - Recommendations? Copyright © 2016 Zen Computer Services.